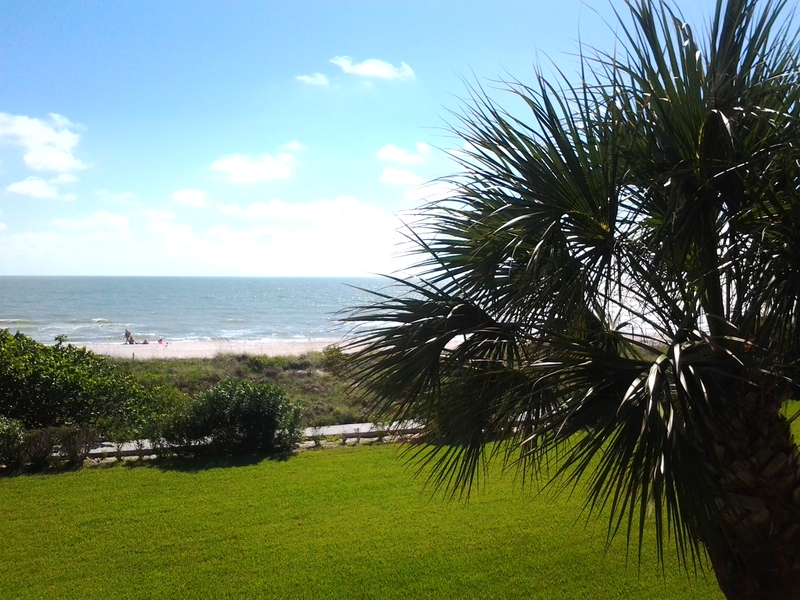 I recently returned from a few days on Florida’s Gulf Coast, vacationing with my family. We arrived to a wet welcome from tropical storm Debby, which did a lot to dampen our vacation spirit (pun certainly intended!). We had dreamed for weeks of fun activities and long walks on the beach…but for the first three days, we were barely able to stand on the beach, much less walk on it. The wind howled, the surf pounded, and the rain pelted the windows. We heard that roads were closed and, since we were not familiar with the area, we were unwilling to venture out. I couldn’t help but wonder if our vacation would be ruined, and I found myself asking God what he might have to teach me in this. As if the storm wasn’t enough of a spoiler, I also had laryngitis. Talking over the noise of the wind and surf was impossible. Since I was forced to be quiet, I found myself really listening to the conversations going on around me without thinking of what I would say as soon as I had a chance. Sitting on our balcony during a break in the rain, I listened to a bird singing the most beautiful song–even as she hung on for dear life in the top of a palm tree being whipped by the wind. It’s really amazing what I hear when I can’t talk! Once the weather broke, we had a list of things to do and places to see. Two precious days were lost to the storm and we were anxious to make up for lost time. God had another idea. Between the posted speed limits of 25 to 35 mph and the detours imposed by high water, we had no choice but to meander along the beach roads, taking little detours here and there. We missed many of the activities on our list, but I observed some beautiful artwork on the outside walls of hotels and condos, noticed some funny mailboxes belonging to equally unusual beach cottages, and was blessed by the local folks standing near those closed sections of road to help tourists like us find a way around. It’s amazing the interesting sights I can see and the kindnesses I can appreciate when I slow down, take my time, and just meander. I’ve returned from a few vacations energized by sightseeing and fun activities packed into every day, only to find the energy fizzle quickly. Not this time. God used the first couple of rain-soaked days to slow me down. I intended to hit the ground running, but what I really needed was just the opposite…to slow down, unwind, relax, get calm and quiet. There’s something about spending a week in unfamiliar surroundings that changed me. My attention was somehow sharpened and I became more receptive… more aware of what was going on around me and how I perceived it. It was refreshing! I have come home with renewed energy for life and mission. So, how’s your energy these days? Does life and mission feel dull and draining?When is the last time you stopped talking, stopped doing, and just relaxed? In our ridiculously fast-paced culture, time out for rest is not a luxury… it’s a necessity. Think about it: How often do you have to recharge your phone or your laptop? What happens when you think you don’t have time to plug them into the charger? Uh-huh… so take some time and recharge YOU!